This site is continually under construction. 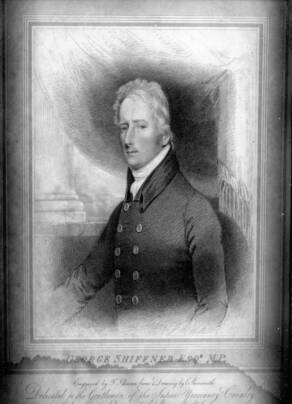 This is a portrait of Sir George Shiffner who served in the 11th from17th Feb 1782 until 1787. 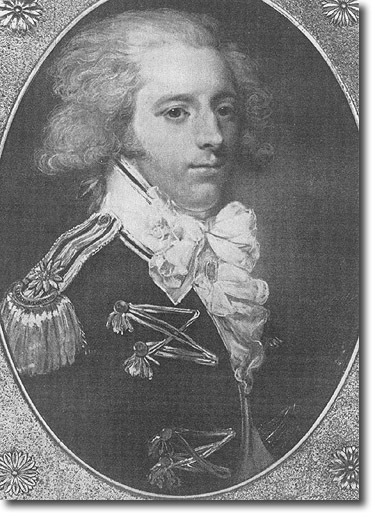 The portrait is dated 1789 but he is wearing his last uniform. The 11th received the new blue uniforms in 1784. They were blue jackets that had buff facings and silver lace and loops. They were normally worn over a braided blue waistcoat, unlike the other ranks who wore a sleeved jacket underneath a sleeveless coat called a shell. 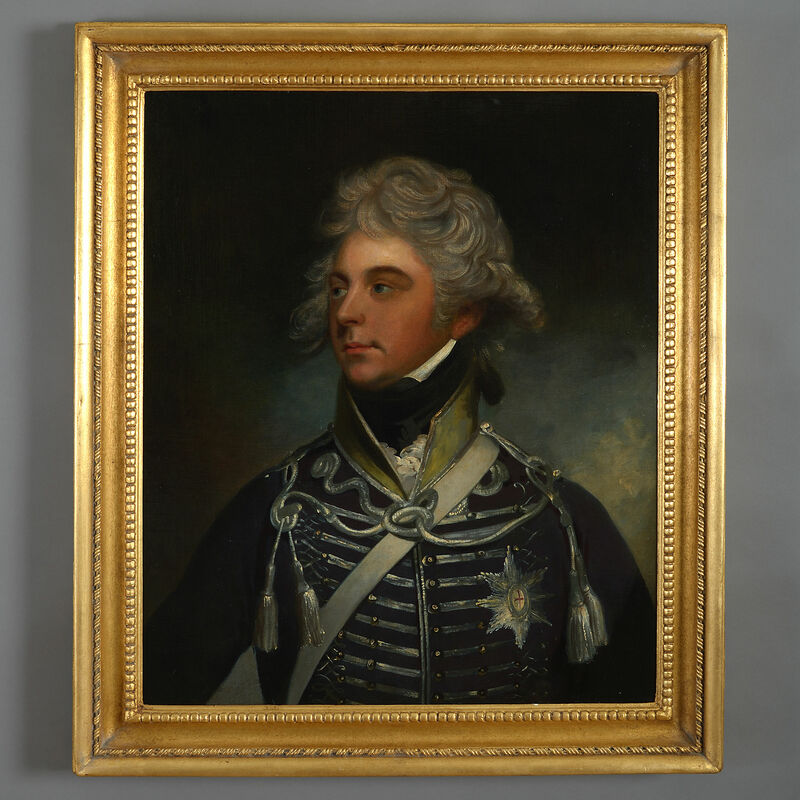 This portrait shows us the epaulette worn by the officers of the regiment. It is silver with blue stripes and has the name of the regiment in a crescent above the fringe. The silver star is not a badge of rank, merely an ornament. The crossing of the button loops is seen clearly here. The loops are superfluous since the coat does not button up, so instead of hanging loose, they are arranged like this. The buttons are inscribed 'II LD'. Shiffner died in 1842 aged 80. The Shiffner family, although of Russian Ancestry officially became naturalized English in 1711, after Mathew Shiffner had set up a trading company in London. Over the next 3 centuries many of the Shiffner family were tragically killed doing military service . This website was made to honor those Shiffners that paid the ultimate sacrifice. Hopefully by including mention of all the Baronets up to the present day, the gaps have been filled in. Many hours have been spent scouring the internet to add particular stories of interest. Apologies if I have borrowed articles from other websites and reproduced without asking permission first.